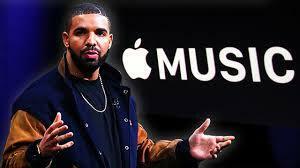 After Views From the 6 is released in April, entertainer Drake has plans to collaborate with Apple to create an album unlike any other in music history. Apple’s next big project is AppleStudio, an app that will allows fans to help media personalities craft music albums. Drake will be the first person to take advantage of the platform. Additionally, he will have a reality show exclusively on Apple TV called OVO: Our Voice is One, which will chronicle the collective creative process. The project was recently announced at an Apple quarterly meeting with a commercial mimicking the last scene of Spike Lee’s Malcolm X film. In the clip, dozens of people of all ages, colors and creeds repeat “I write for Drake!” before “Do You?” pops up in bold white letters. AppleStudio users will be able to subscribe to the service for $5.95 a month and have complete control of the Toronto entertainer’s recording process. Aspiring artists will be able to submit lyrics and beats whereas fans will vote on song concepts. Though Drake will be minimally involved, users will be able to interact with his most trusted producers and ghostwriters through videochat sessions. Apple envisions AppleStudio as a digital space where well-known personalities can get the creative input needed to create music. Apple will be collaborating with executives from nearly every major record label on scouting talent to be used. Early speculation on future AppleStudio projects includes Ian Connor, Amber Rose, and members of the Kardashian family. Drake’s creative process has been the subject of speculation since rapper Meek Mill accused him of using ghostwriters in July of 2015. Drake’s team has surmised that the community driven album is a brilliant way to embrace the controversy. “Drake knows he’s not gonna be able to get his writers to laugh off the ghostwriting rumors with one-liners on his tracks for much longer,” the source says.”Drake decided to flip it and say ‘hey, everyone is writing for my album, and you aren’t cool if you’re not!” the source says. Apple reached an agreement with the RIAA to get AppleStudio subscriptions to count as album sales. Apple estimates that the project will sell 40+ million copies in the first week, a Billboard record. Additionally, album credits and platinum plaques will be given to anyone who downloaded the App and participated on it. As far as the reality show, the source we spoke with notes it will take place, “once the direction of the album is chosen.” The AppleStudio app will employ a point system for each album contribution, and the highest point scorers will be invited to Toronto’s Camp Hurontario to record Drake’s reference tracks.